Pieter Cronje has submitted the first PHOWN record from Togo. It is a Village Weaver colony - this species is abundant throughout the country. There are records of breeding from January to October in Togo. There are now PHOWN records from 36 countries globally. 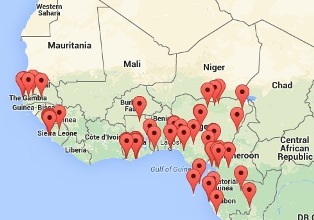 Togo is the 8th country in West Africa with PHOWN records.